Games leap to life with super-stable 3D. The face-tracking feature uses the system's inner cameras to adjust images based on your viewing angle, so you can enjoy total immersion in your games. Improved CPU performance means faster loading times, so you spend more time playing. 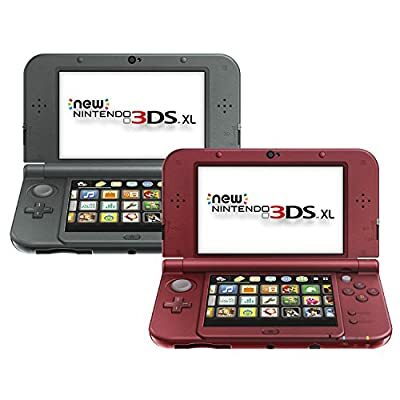 You can still play all Nintendo 3DS games and nearly all games from previous systems such as Nintendo DS and DSi. The C stick brings new control possibilities (like intuitive camera control) to compatible games. And, new ZL and ZR buttons give you more options than ever. New-and-improved Internet browser lets you watch videos and surf the Web with ease.